I received this book from @grownupreads to read in exchange for an honest review. All opinions are my own. 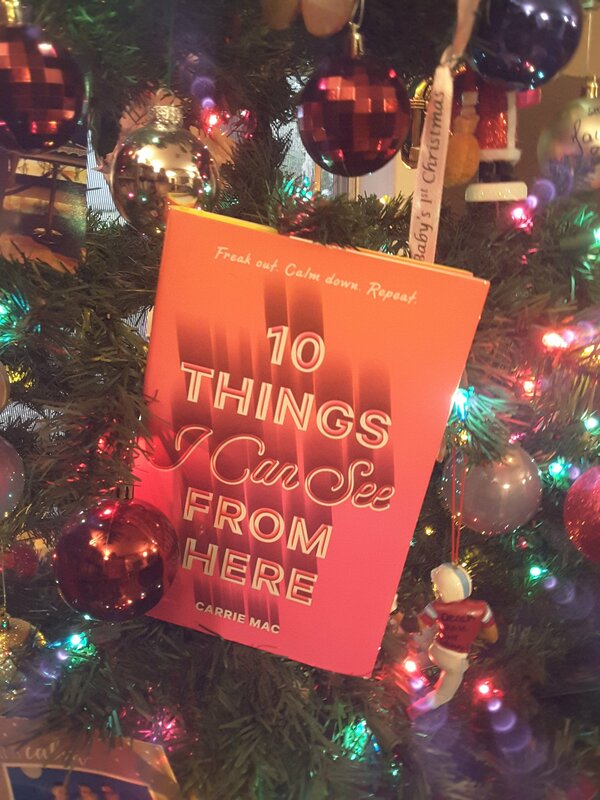 🌟🌟🌟🌟🌟10 Things I Can See From Here by Carrie Mac. Maeve is a 16 year old girl that struggles with anxiety. No, not struggles with, is anxious, all the time about everyone and everything. She sees statistics and death at every corner in her world. Her Mom is moving to Haiti for six months with a man Maeve can not stand. Maeve will have to go live with her father, twin halfbrothers, and pregnant step mom, Claire. She isn’t happy her world is turned upside down. She meets a girl, is bashful, messes up badly, feels anxious but then amazingly, Salix, helps complete the anxiety Maeve lives in. Maeve’s father struggles with addiction and is ruining his family and Maeve feels it is her responsibility to put it all back in order. And just when she couldn’t be more overwhelmed her step mom goes into labor at the lake 3 weeks early. This was a warm feeling read for me. See the fear, conquer the fear. While the story was about Maeve and her anxiety I loved the other characters and wanted to know more about each of them. Review also posted on Instagram @jasonnstacie, Library Thing, Goodreads/StacieBoren, Go Read, and Amazon.